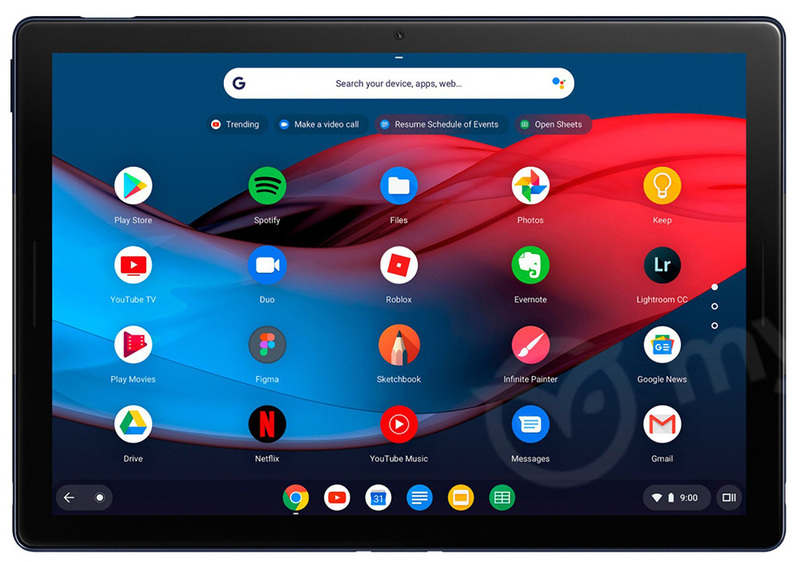 Over the weekend, because Google is really bad at keeping anything a secret, the Pixel Slate was fully revealed. It sure looks like the device that showed up on Brydge’s site a few weeks back as a high-end Chrome OS tablet in a dark blue color. There isn’t a ton of new stuff to learn since that first leak and a following benchmark, but this is the first all-angle look we’ve really got. As you can see below, the device is a tablet. Shocker. It has a simple design, blue color, single camera on its rear and another up front, fingerprint reader on top, dual front-facing speakers, USB-C port or two, and will work with a new blue Pixelbook Pen. It runs Chrome OS, of course, which Google is ready to really push into the tablet form. In addition to the tablet, we’re getting a first look at one of its accessories too. Below, you can view a keyboard accessory for the Pixel Slate in the same deep blue color. It features a keyboard with circular keys, Google Assistant button, and pins that will allow the Slate to dock. That also looks like a soft top cover that can be folded to prop the Slate up while using the keyboard and act as a cover when not in use. The Pixel Slate is likely to run an Intel Core i7 processor with configurations that include 16GB RAM. We aren’t sure on storage, but my guess is that Google will allow you to fully deck this little guy out. That also means it won’t be cheap.